Things have been very busy for the last few weeks, with lots of glass to get ready for all the Christmas shops popping up around the country. I’m delighted to have my handmade fused glass on sale in Galway’s ‘Granny Likes It’ on Abbeygate Street…now open! You can always find it in the gorgeous Glasson Craft Gallery in Co. Westmeath, just outside Athlone. And now, I’m thrilled to be included in Dublin’s newest retail outlet for quality Irish art and craft… the tasty Irish Design Selection in the Westbury Mall, off Grafton Street. With so much making, baking and boxing going on, the studio became a very busy spot. 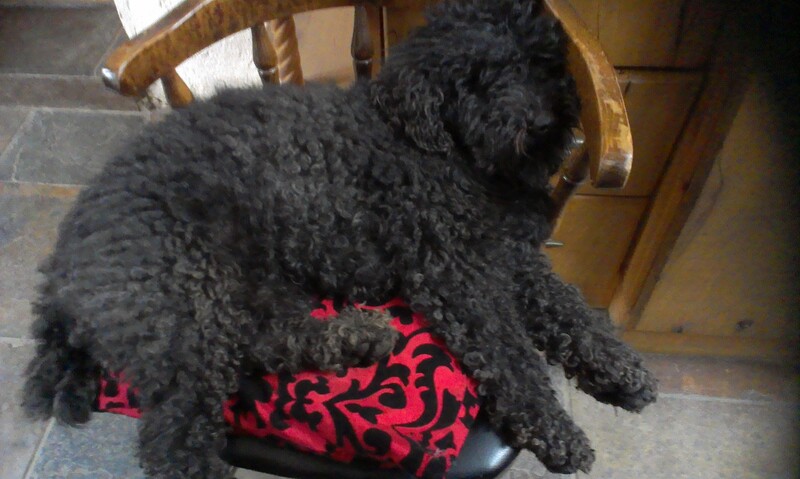 Here’s a picture of my constant companion, and would-be helper, Pip the poodle!